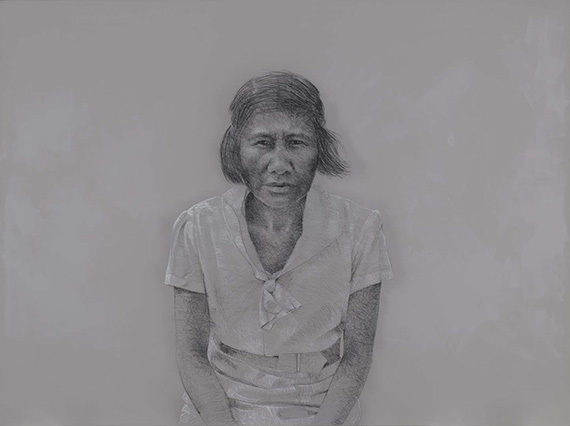 Vernon Ah Kee, Kuku Yalanji/Waanyi/Yidinyji/Guugu Yimithirr people, Australia b.1967 / Annie Ah Sam 2008 / Charcoal, crayon and synthetic polymer paint on canvas / The James C Sourris, AM, Collection. 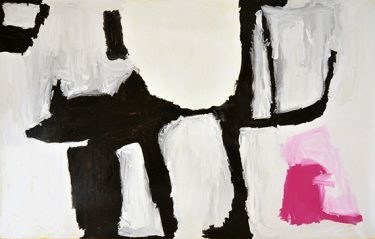 Gift of James C Sourris, AM, through the Queensland Art Gallery Foundation 2012. Donated through the Australian Government’s Cultural Gifts Program / Collection: Queensland Art Gallery / © The artist. 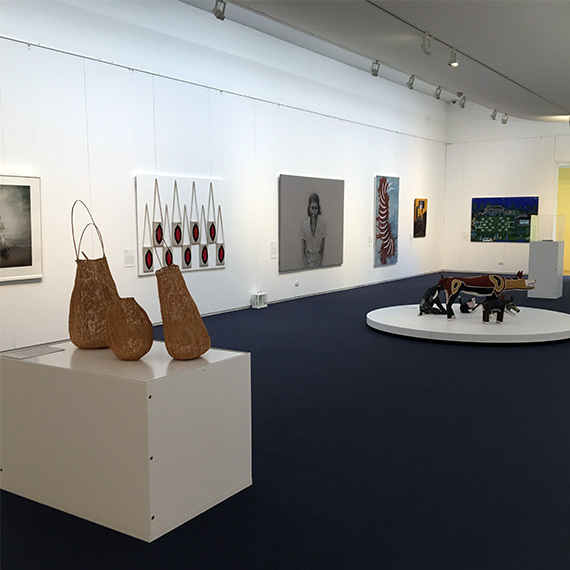 The Gallery’s latest regional touring exhibition showcases works by Queensland Indigenous artists drawn from the exhibition ‘My Country, I Still Call Australia Home: Contemporary Art from Black Australia’, which showcased at the Gallery of Modern Art in June 2013. 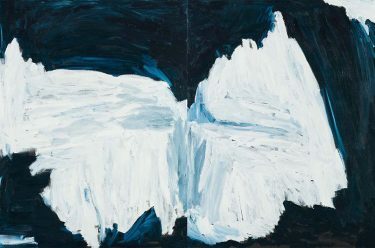 Based on the Gallery’s extensive Collection, the exhibition examines Aboriginal and Torres Strait Islander artists’ associations and interpretations of country (land) and country (nation). 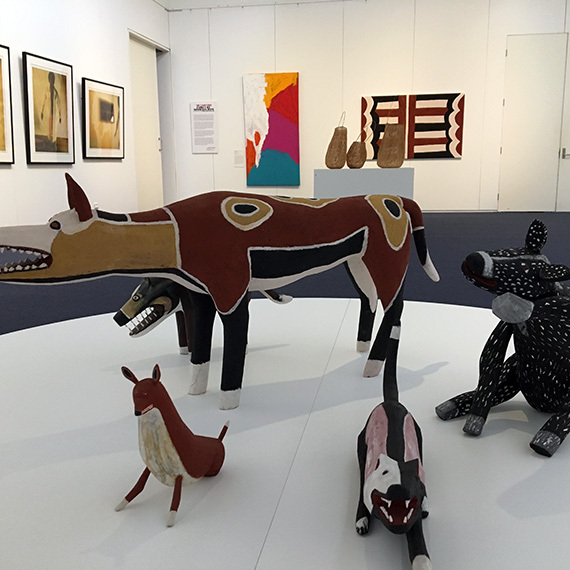 Indigenous artists have long been an important voice for their communities and continue to be instrumental in telling Aboriginal and Torres Strait Islander stories – from presenting alternative views of history, to asserting their presence over country (urban and regional), as well as responding to contemporary politics and highlighting contemporary Indigenous experiences in Australia. Hamish Sawyer, Project Officer, Regional Services travelled to Toowoomba Regional Art Gallery recently to install the exhibition and undertake condition reporting of the artworks, assisted by gallery staff. Regional touring exhibitions such as ‘My Country’ represent a significant logistical undertaking and take many months of planning with input from staff from across the gallery including registration, conservation and workshop sections. 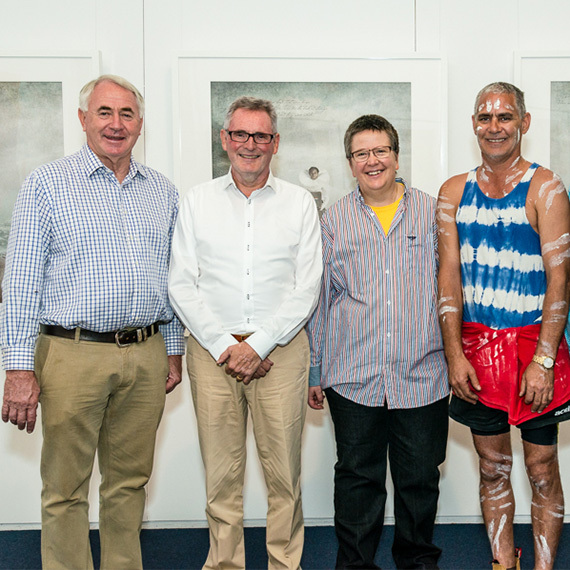 Director Chris Saines officially opened the exhibition and after showing at the Toowoomba Regional Art Gallery will travel on to seven regional Queensland galleries through December 2017.